← Solar Energy: Abundant, but Inefficient! The lack of environmental justice in American society is now being linked clearly to an issue prevalent in urban areas: environmental gentrification. Environmental gentrification is the process of affluent populations moving into low-income neighborhoods and therefore changing the culture and demographics’ of that neighborhood. This change generally leads to the displacement of the low-income population, as the neighborhood is no longer affordable. This ruling of the EPA seems like a good thing. It means making low-income and historically disenfranchised neighborhoods cleaner and more environmentally friendly. It means upgrading low-income neighborhoods with things like “LEED-certified green buildings, and bike lanes.” (Grist) LEED stands for Leadership in Energy and Environmental Design. There are different levels of LEED certification based on a point system. Any LEED certified building, is to a certain extent, energy efficient. A LEED certified building could have solar panels, harnessing sunlight to create electricity or heat. Essentially, the building’s design is geared to use the least amount of energy possible. Bike lanes would contribute to the fight against climate change, as it offers an alternative to driving or public transportation. Climate change is in part attributable to greenhouse gas emissions. Cars, when in use, emit greenhouse gases. These greenhouse gases range from carbon dioxide to methane. They build up in the atmosphere and block infrared rays from leaving, effectively heating the earth. 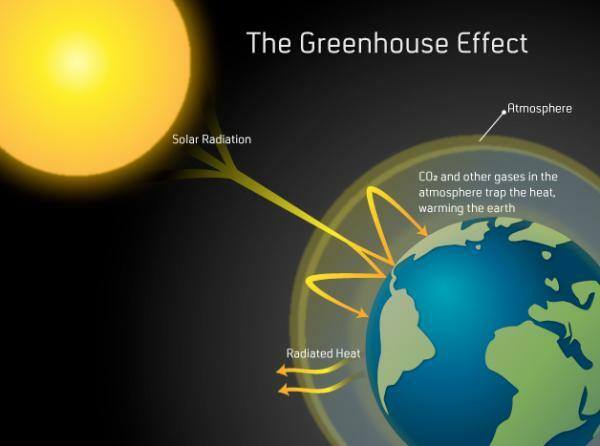 This process is called the greenhouse effect. Figure 1 illustrates this occurrence. Upgrading these neighborhoods would not only be environmentally friendly but also aesthetically beneficial to the community. Unfortunately, these improvements can lead to the displacement of the population it was geared towards helping. Though environmental gentrification may be excellent for the environment, it’s not always ethically right. For example, in the 1990s, Pilsen, Chicago was an unsafe and predominately Hispanic community. 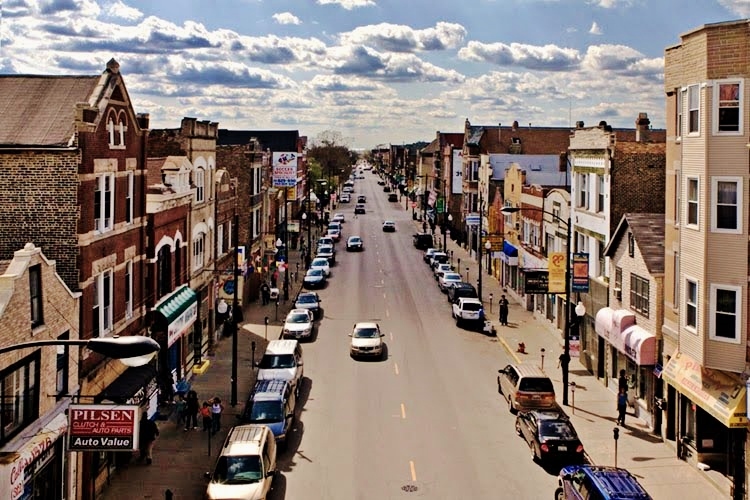 “In 2012, however, the Chicago Department of Transportation finished upgrading two rundown streets by rebuilding them with recycled materials, permeable pavers, green streetscaping and sustainable stormwater runoff solutions.” in Pilsen, Chicago. The neighborhood is now considered to be one of the ‘greenest in America’. (governing) Unfortunately, the rent prices are now soaring, displacing the low-income population that once resided there. Figure 2 shows a street in Pilsen, Chicago. Environmental justice is inevitably tied to issues of social justice, as the environment dictates the circumstances of its inhabitants. 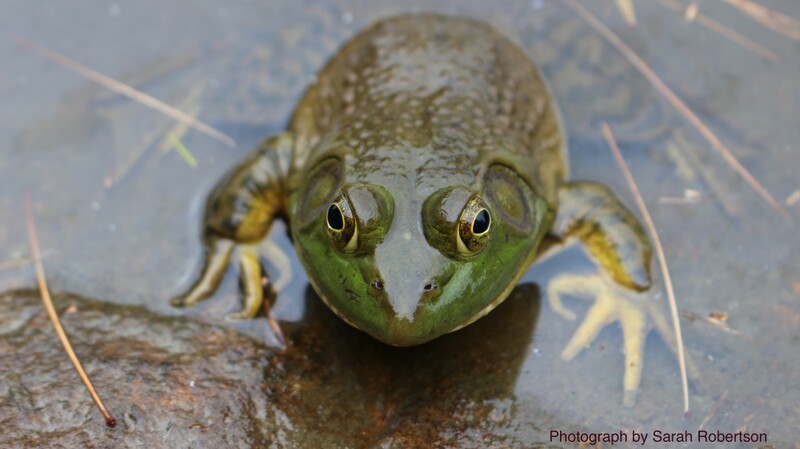 The “Just Green Enough” initiative is a perfect example of the connection between the two. More importantly, however, making neighborhoods “Just Green Enough” means a more sustainable and equal environment and society. Nia, I really love this article. Do you think that in the future the communities that are made “Just Green Enough” could be further improved as the socioeconomics of the communities improved or as the globe becomes “greener”?